The formal Senatorial candidate will be stepping down from her position in President Donald Trump's cabinet, where she now serves as head of the Small Business Administration. 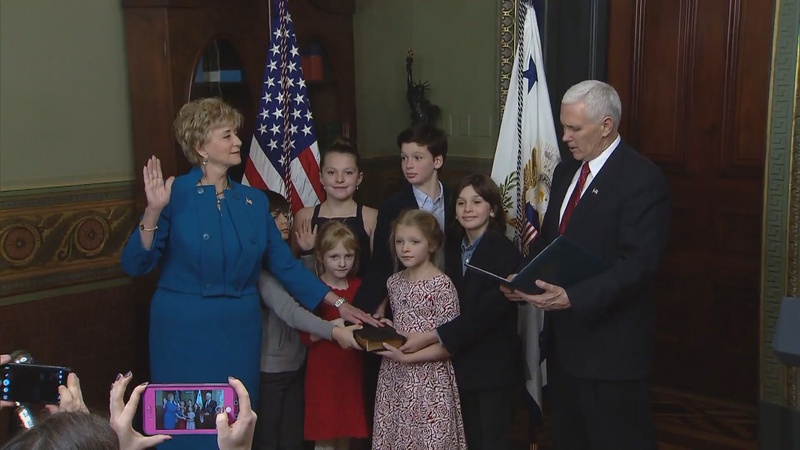 "It has truly been the honor of a lifetime to serve our country in this Administration", she said on Twitter. Politico reported McMahon's plan to depart the government earlier on Friday. Mr. Trump called her a "superstar". She lost to Democratic rival Richard Blumenthal in the 2010 midterm election by 11 percent. McMahon told the CT Mirror past year she had "no plans" to run for office again and said she took the top job at the SBA because Trump asked for her help. Senator Lindsey Graham has reacted to the news, saying that he was "disappointed to hear that Linda McMahon will be leaving the Small Business Administration". "She'll be an outstanding addition to the team", the person said.